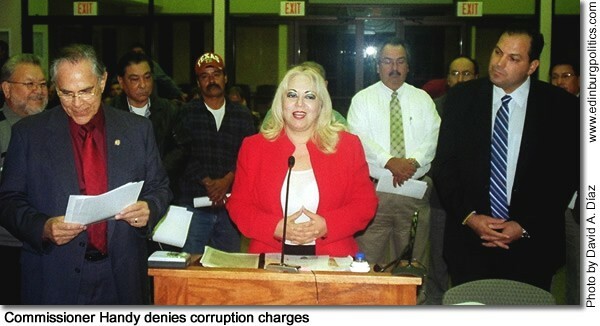 Hidalgo County Precinct 1 Commissioner Sylvia Handy, shown here in early December 2008 successfully championing the extension of the proposed Hidalgo County Loop through her district, on Thursday, April 2, was named in a six-county indictment charging her, her spouse, Juan Gabriel Espronceda, 35, María De Los Ángeles Landa de Hernández, 27, and Eloisa Andrade Uriegas, 58, with harboring aliens for financial gain. An indictment is a formal accusation of criminal conduct, not evidence. A defendant is presumed innocent unless and until convicted through due process of law. Handy has said she is innocent. Following news of her indictment, Hidalgo County Judge J.D. Salinas III released the following statement: “Today, we became aware that Pct. 1 Commissioner Sylvia S. Handy and three others were arrested on the allegation of defrauding taxpayers for personal gain. 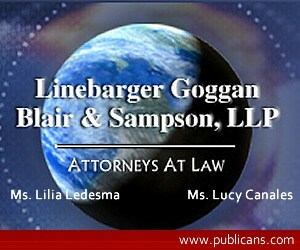 We will withhold our own judgment, as this is an ongoing investigation and is in the hands of the court system. However, my office has been in contact with Commissioner Handy’s chief of staff to offer our help. My office pledges to the public that all vital public services for the families of Pct. 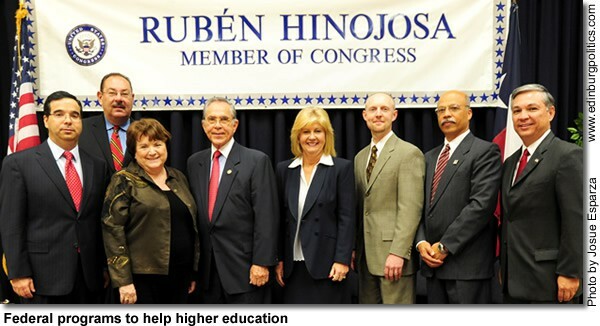 1 will continue.” Featured in this file photo, to her right, is Congressman Ruben Hinojosa, and to her left, is Salinas. See story later in this posting. 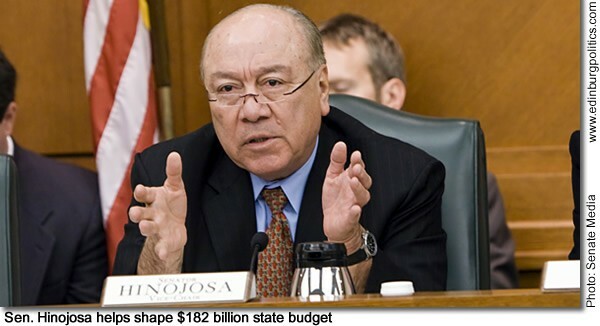 Sen. Juan "Chuy" Hinojosa, D-McAllen, who serves as the vice-chair of the Senate Finance Committee, led the workgroup on that panel that developed state funding for general government, the judiciary, natural resources, and regulatory services. The Senate Finance Committee, which writes the Senate’s version of the two-year state budget, on Wednesday, April 1, approved a $182 billion budget, which would cover the period between September 1, 2009 and August 30, 2011. This biennial budget is a seven percent increase over 2008-2009, but nearly half that growth is attributable to federal stimulus money. Actual state spending grows only about two percent per year over the next biennium. See story later in this posting. On September 8, 1993, Gov. 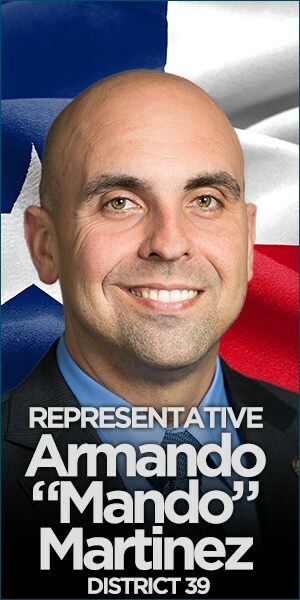 Ann Richards appointed the founding South Texas Community College (now South Texas College) Board of Trustees, which included Manuel Benavidez, Jr., of La Grulla in Starr County, who passed away on Saturday, March 28. Sen. Judith Zaffirini, D-Laredo, whose district includes Starr County, expressed her condolences to his family and friends. "I am profoundly saddened by our loss of Manuel Benavidez, a champion of higher education, economic development and housing, and am among the countless South Texans who will miss him greatly," she said. 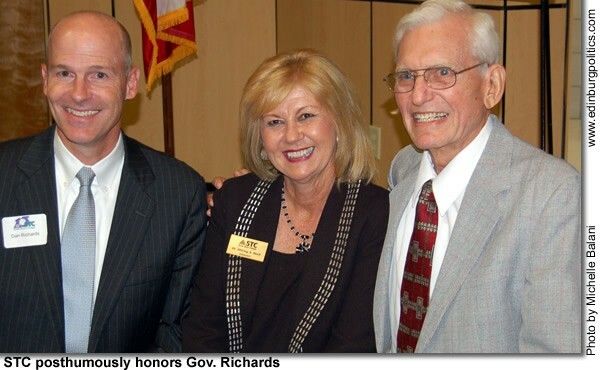 "His legacy as a regent for South Texas College and the Starr County Housing Authority reflects his lifelong commitment to creating a brighter future for our families." 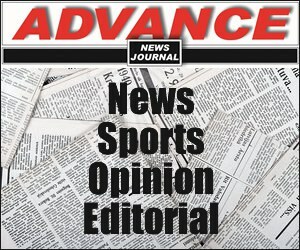 Highlights of his life are featured in an article composed by one of his daughters, which is featured later in this posting. 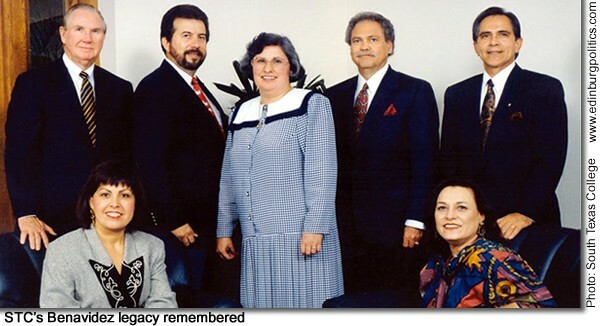 In this 1993 file photo, the founding board of trustees posed for their portrait, including, seated, from left: Rosalinda González and Pearl Mathis; and standing, from left: Glen Roney (vice chair); Manuel Benavidez, Jr.; Dr. Amparo Cárdenas; Gary Gurwitz (secretary); and Rubén Hinojosa (chair). 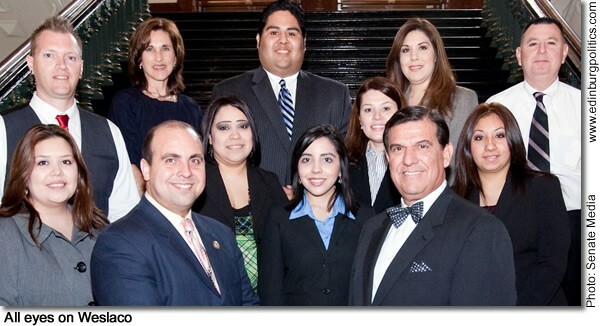 Rep. Armando "Mando" Martínez, D-Weslaco, and Sen. Eddie Lucio, Jr., D-Brownsville, recently welcomed the 2008-09 Leadership Mid Valley class, which visited the Capitol to gain further insight into the workings of state government. Leadership Mid Valley provides opportunities for developing leadership skills and increasing knowledge of vital public issues. 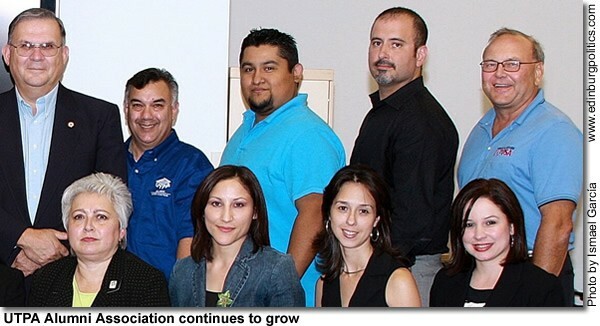 Members of this year’s class, from left to right, are: Annette Turner, Nels Anderson, Allison Summersett, Martínez, Priscilla Castañeda, Jesse Colin, Yvonne Chamblin, Vicky De La Garza, Lucio, Mari Avilés, Nancy Peña and Rolando Pedraza. 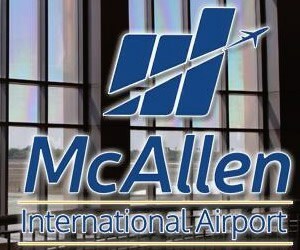 On Wednesday, April 8, a bill by Martínez which would designate the Mid Valley Airport in Weslaco as the emergency headquarters for the Valley during times of natural and man-made disasters will be heard by the House Defense and Veterans’ Committee. See lead story in this posting. 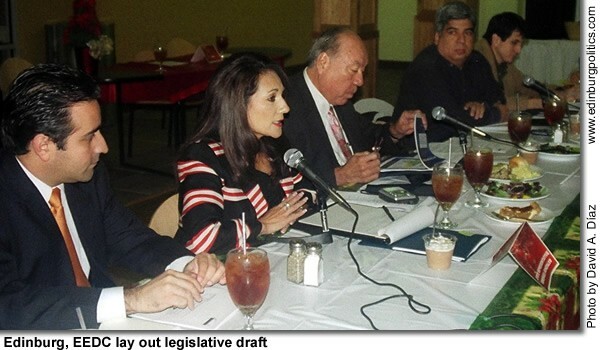 Rep.Verónica Gonzáles, D-McAllen, second from left, offers advice to the Edinburg City Council and top city administrators on Friday, December 5, during a legislative workshop held at City Hall. 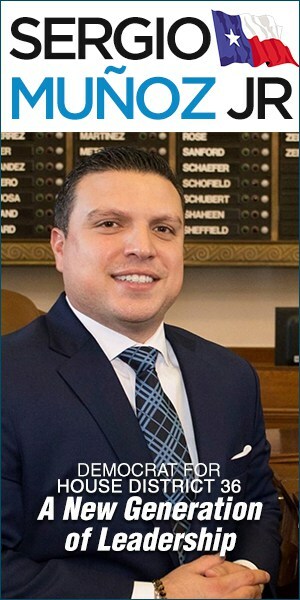 The preliminary legislative agenda, which has not yet been formally adopted by the city council or the EEDC, was presented to her, Sen. Juan “Chuy” Hinojosa, D-McAllen, and Rep. Aaron Peña, Jr., D-Edinburg. Strategies dealing with the city airport received top billing at the legislative work session. Edinburg wants the 490-acre facility to be enhanced so it can also protect the public safety while it promotes international trade and commerce. About a dozen legislative initiatives were discussed. Featured, from left, are: Ricardo López-Guerra, chief of staff for Gonzáles; Gonzáles; Hinojosa; Peña, and Orlando Salinas, chief-of-staff for Peña. See story later in this posting. It’s the Holiday Season and the McAllen Hispanic Chamber of Commerce is making plans for their Christmas Luncheon scheduled for Thursday, December 18 from 11:30 a.m. to 1 p.m. at the Renaissance Casa de Palmas Hotel. 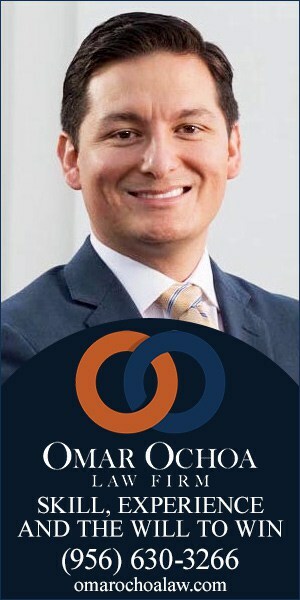 The luncheon is being sponsored by Armondo Brennan of New York Life/Nautilus Group. The gathering will give new members an opportunity to introduce themselves to the membership. A short presentation will be made by Brennan on his services with New York Life and The Nautilus Group. Everyone dressed in some holiday attire will receive a special holiday gift courtesy of New York Life/Nautilus Group. 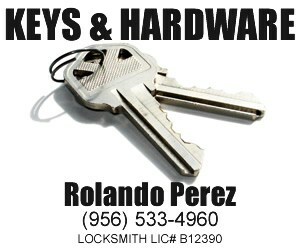 Door Prizes will also be given away courtesy of the McAllen Hispanic Chamber and New York Life. Tickets to the luncheon are $15. For reservations and/or to purchase your ticket call the MHCC office at 928-0060. Featured, from left, making the final preparations for the luncheon, are: Armondo Brennan and Hazel Caraveo of New York Life/Nautilus Group; Rose Ramírez, Vice Chair of Health Issues for the McAllen Hispanic Chamber of Commerce, and Cynthia M. Sakulenzki, MHCC President and CEO of the McAllen Hispanic Chamber of Commerce. Once again, South Texas College’s Business Office has gone above and beyond, this time earning the college accolades from the Government Treasurers’ Organization of Texas. 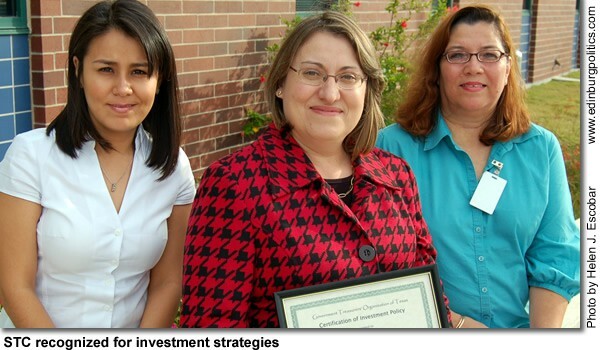 The organization awarded STC its Certificate of Distinction for the college’s investment strategy. The GTOT conducts an elective Investment Policy Certification Program, which is designed to provide professional guidance in developing an investment policy and to recognize outstanding examples of written investment policies. The program’s Certificate of Distinction is awarded by GTOT to entities that have developed an investment policy which meets established criteria. 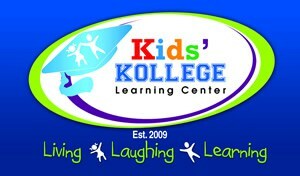 The certificate is awarded for two years and then may be renewed upon review. STC’s investing team poses with GTOT certificate. 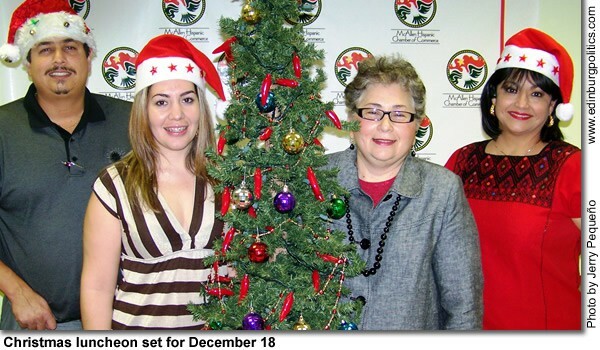 Featured, from left, is STC’s investing team: Myriam López, STC senior account; Mary Elizondo, STC comptroller; and Alma Church, STC senior accountant. See story later in this posting. 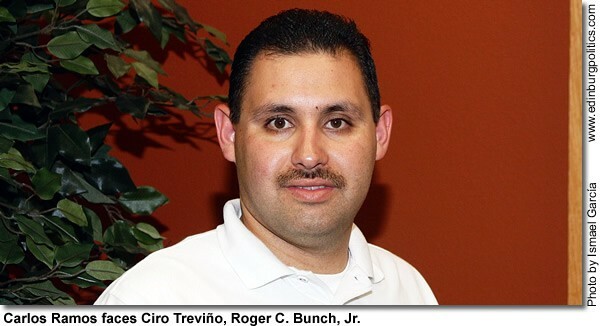 Gilbert Enríquez, a former Edinburg school board president, also serves as executive vice-president of Enríquez Enterprises, Inc., one of the more renowned construction firms in the region. He said he is running for election to the school board on November 4 in order to continue helping the community which has helped shape his life. 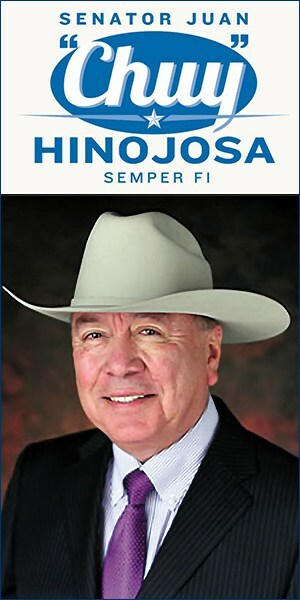 “I am here to help, to offer my leadership, skills, experience to everyone, to help everybody prosper, not one individual,” Mr. Enríquez pledged. “I never had any kind of ambition to be in politics or to be an elected official, but I felt I needed to give back to the district that provided me the education that got me to where I am today.” See lead story later in this posting. Former longtime Mayor Ronald Case, seen here on the right, passed away on Friday, September 19, Rep. Aaron Peña, a lifelong supporter of the popular city political leader, has announced. 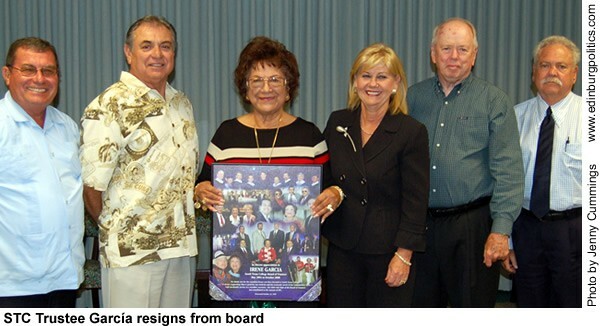 Case, who served as mayor from 1973 to 1981, was featured in this recent photo which included three other former Edinburg mayors with the state lawmaker. Peña characterized the former mayor as being “the epitome of a gentleman public servant stepping forward to serve the community he loved. 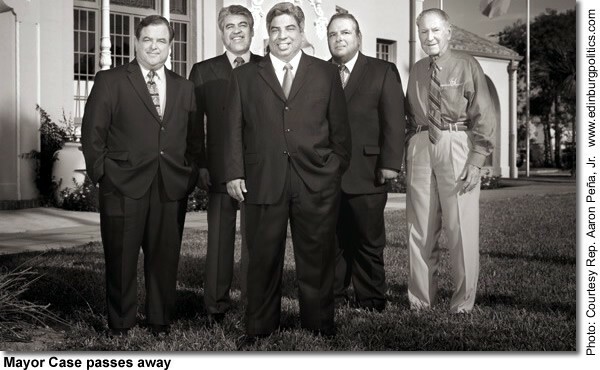 I am very proud to have been a friend and admirer of Mayor Case.” From left are: former Mayor Richard Alamia; former Mayor Richard García; Rep. Peña; former Mayor Rudy De la Viña; and former Mayor Case. See story later in this posting. Museum opens The Museum of South Texas History opened its newest exhibit, Edinburg: A Centennial Salute 1908 – 2008, on Wednesday, September 10. A ribbon cutting hosted by the Edinburg Chamber of Commerce and a private viewing was held for Museum FRIENDS. Installed in the Upper Old Jail Gallery, this exhibit presents a sampling of photographs and artifacts from the museum’s collections and is organized into four themes: education;government; civic life; and commerce. One of the largest artifacts in the exhibit is a mural depicting Edinburg Junior College students and academic subjects. This mural was painted by Joseph Brennan and Humberto Cavazos and was presented to the college by Emil Fossler, president of the sophomore class. The exhibit coincides with the Edinburg Centennial Committee’s city- wide celebration, October 5-10. Throughout the week, various organizations will host mini-celebrations, including Edinburg’s largest birthday cake, an essay contest, and a fireman’s parade. An open house will be held at the Museum of South Texas History on October 5, from 1 p.m. to 5 p.m. As a gift to the community, the museum will have free admission. Family activities include Edinburg Trivia, an Edinburg activity book, entertainment, refreshments, and, of course, a few shared words to commemorate the occasion. 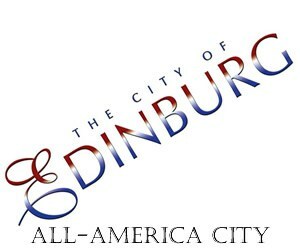 For a complete listing of the city wide celebrations, visit http://www.edinburg.com, or call 383-6911. Featured, from left: chamber board members Gus Casas; Cynthia Bocanegra; Maggie Kent; Shan Rankin, the museum’s executive director; Lee Cavazos; chairman-elect of the local chamber of commerce; and Willard Moon, chairman-elect of the board of directors for the museum. 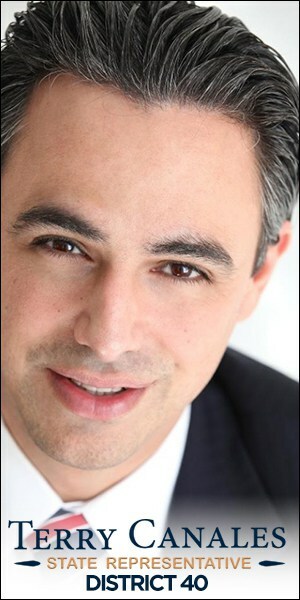 Dan Richards, son of former Gov. Ann Richards, featured left, celebrates with Dr. Shirley A. Reed, South Texas College president, and Othal Brand, Sr., former McAllen mayor, during the Tuesday, September 16 naming of the college’s Pecan Campus Administration Building in honor of the late state leader, who died on September 13, 2006. The Democratic governor played a large role in the early 1990s in bringing the college to fruition, helping thousands of Hidalgo and Starr county residents realize their goals of attaining a higher education and a better quality of life. See story later in this posting. Edinburg school board trustee Carmen González, who is finishing up her first term on the seven-member school board, greets Saúl Ortega of Edinburg, one of several hundred supporters who showed up on Thursday, August 21, for her campaign reelection bid kick-off, held at the ECHO in Edinburg. 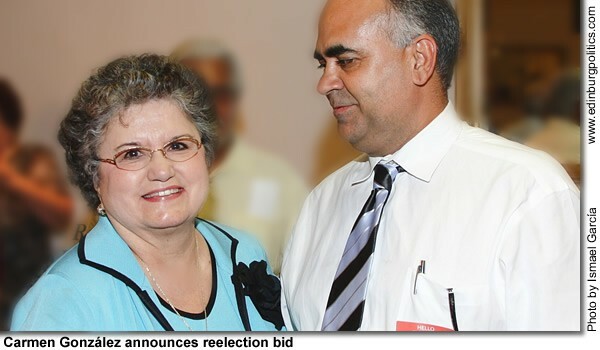 A retired educator whose career saw her rise from the classroom to the top leadership position as interim superintendent of ECISD, González is being challenged by a former and longtime ECISD trustee, Gilbert Enríquez, a renowned leader in business construction projects in the region. The election is on Tuesday, November 4. In gearing up for her race against Enríquez, González pledged to focus on her continuing vision for the school district, not personal attacks. “For my part, and in my campaign, there will be no mud thrown from my direction, from my camp,” she promised. “I will not throw mud, and I know I will be blessed because I will not be interrupted by negativism that may be circulating. I hope this will be a clean race, like it was when I ran (in 2005) against Obie Salinas, who was a gentleman with me all the way. We ran a good, clean campaign. I am going to ask the public to keep it clean.” See lead story later in this posting. 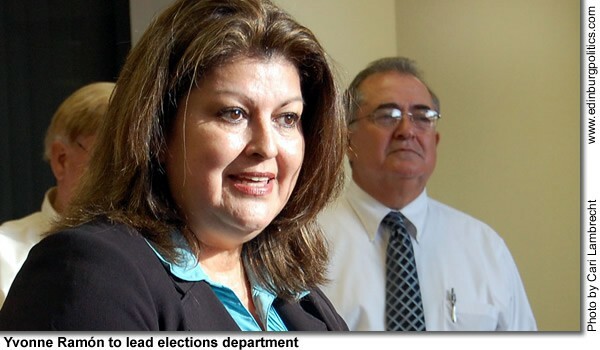 After a final round of interviews, the Hidalgo County Elections Commission on Wednesday, August 20, unanimously selected Yvonne Ramón to lead the Hidalgo County Elections Department. “Ms. Ramón was chosen today to uphold core values of trust, responsibility and commitment to public service,” said Hidalgo County Judge J.D. Salinas III, who is Chairman of the Hidalgo County Elections Commission. 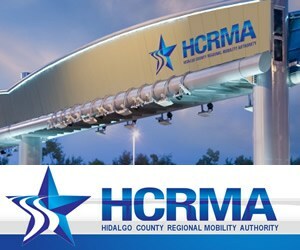 “Out of 66 applicants, she is what we consider the best of the best.” The other members of the commission are Hidalgo County Clerk Arturo Guajardo Jr., Hidalgo County Tax Assessor-Collector Armando Barrera, Hidalgo County Democratic Party Chair Dolly Elizondo and Hidalgo County Republican Party Chair Hollis Rutledge. See story later in this posting. For the second year, new faculty at The University of Texas-Pan American were welcomed to campus on Tuesday, August 19 as part of the New Faculty Support Program, which helps incoming faculty members adjust to their new environment. Fifty-five full-time, tenure and tenure-track faculty who are new this fall to UTPA attended the program’s opening reception and a two-day academic orientation. The year-long initiative was designed to help incoming faculty adjust to their new academic and community surroundings at UTPA. 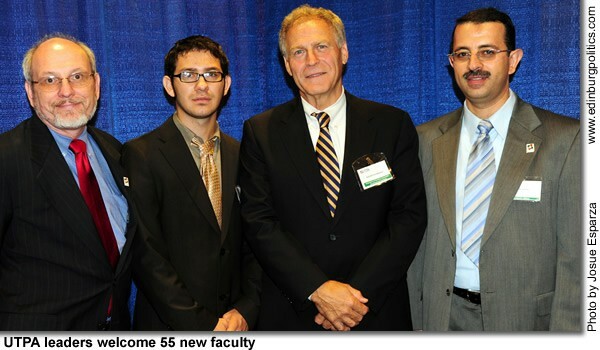 Featured here, from left during the first day of the academic orientation are: Dr. Paul Sale, UTPA Provost and Vice President for Academic Affairs; UTPA student Tony Matamoros; Keith Patridge, the president of the McAllen Economic Development Corporation; and Dr. Ala Qubbaj, director of the New Faculty Support Program Director Qubbaj. See story later in this posting. The City of Edinburg was founded in 1908, where it was first named Chapin, Texas. 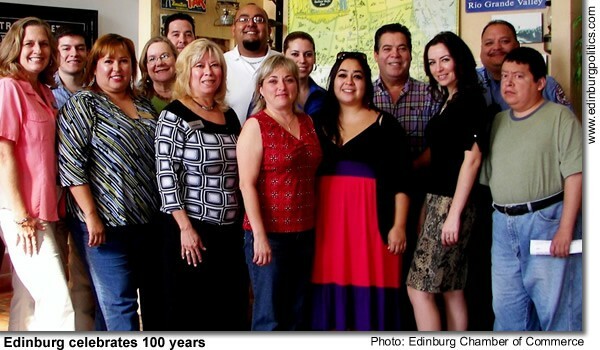 In 1911, the town of Chapin was newly named Edinburg, and will officially reach its centennial of its founding on October 10, 2008. 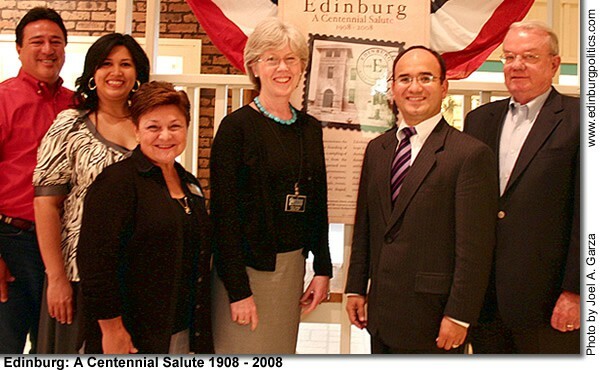 During the week of October 5 – 11, Edinburg will reflect on the establishment and growth of the community with a series of historic events, which are being organized the Centennial Committee. Local institutions which will spearhead the celebrations include The Dustin Michael Sekula Memorial Library, the Museum of South Texas History, the Edinburg Chamber of Commerce, the City of Edinburg, the Edinburg Economic Development Corporation, Edinburg Consolidated Independent School District, Daughters of the American Revolution, the Edinburg Volunteer Fire Department, and other various businesses, and organizations The event will feature Edinburg’s largest birthday cake, free ice cream, a city proclamation, poetry readings, an essay contest, a historic exhibition, Fireman’s Parade plus more. 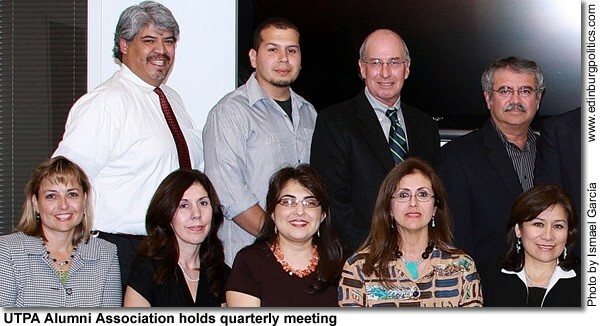 Some of the members of the Centennial Committee are, from left: Flo Prater; Joel A. Garza; Migdalie Rodríguez; Lynne Beeching; Miguel Gamboa; Elva Jackson Garza; Frank Lara; Letty González; Letty Reyes; Evana Vleck; Frank Garza; Viviana Ozuna; Rubén J. López; and Marco Cordova. Not shown are Valerie M. Haesly-Parson, Imelda Rodríguez, Lucy Robinson and Valerie Ramírez. 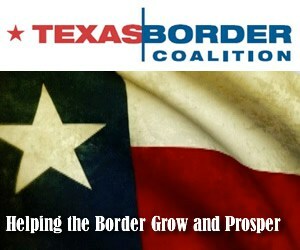 Log on to http://www.edinburg.com for a complete calendar of events, or call 956-383-4974 for more information. 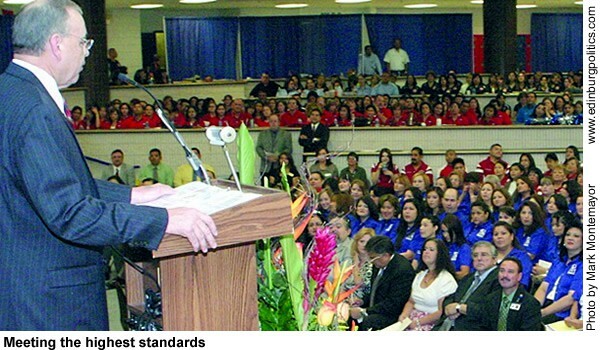 Gilberto Garza, superintendent of the Edinburg school district, on Tuesday, August 19, addressed the elementary teachers and paraprofessionals at the General Assembly. 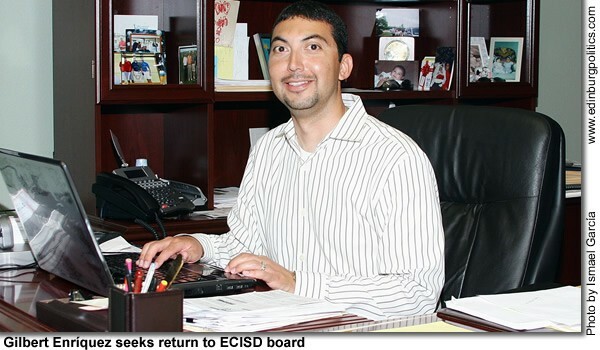 “It isn’t by accident that the district had 12 Exemplary and 15 Recognized campuses last year, or that we had six schools named in Texas Monthly’s Best Public Schools in Texas list, or that 33 schools received Gold Performance Acknowledgments for high academic accomplishments, or that we have two high schools who have been awarded the College Board Inspiration Award, or two high schools named in Newsweek magazine among the Top Five Percent of Schools in the nation,” said Garza. See story later in this posting.